A spectacular light show caused by an electrical emergency in Queens created moments of panic for some at LaGuardia Airport Thursday night. Airline passengers were left in the dark inside the transit hub’s terminals, but why? Runways were also temporarily shuttered following the Con Edison voltage monitor malfunction which illuminated the New York skyline with an eerie blue-green hue. The 13 minute power outage delayed some 15 flights from taking off for up to an hour and rerouted nine planes to other airports. It left many wondering how an airport the size of LaGuardia, in a city the size of New York, shut down from a mere power outage. Shouldn’t there be an uninterrupted source of power on backup to keep the airport running right away? “A power outage of this nature could happen at any airport,” LaGuardia General Manager Lysa Scully said. But thousands of people were taken off guard over the holiday. Nearby, Rikers Island prison reported no sustained power outage thanks to its backup system. “LaGuardia has backup power, but it’s basically emergency backup power and not really a backup system that would allow the LaGuardia Airport to operate safely,” Cuomo said. The runways were closed for 13 minutes as a precaution to make sure everything was safe. LaGuardia went through a rebuilding, but no backup power system was installed. So what’s the plan going forward to prevent what happened last week from happening again? “Having LaGuardia backup generators that allowed LaGuardia to function is something that we’re going to further explore,” the governor said. 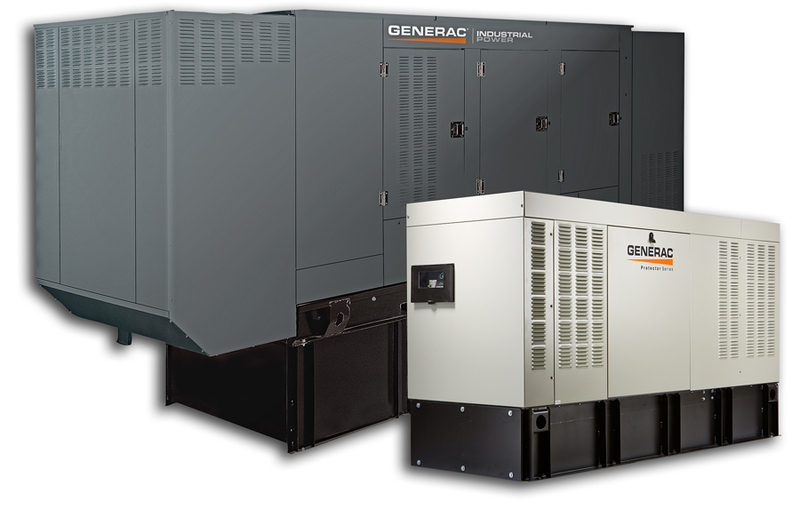 For more information on backup power, contact South Shore Generator in Wareham, MA. Portable generators are the best alternative power sources for preparing your family for emergencies. The simplest backup power systems are gas-powered portable generators. The biggest benefit of this approach is that you can run your refrigerator and lights during power outages with a gen-set that you can conveniently transport from one location to another on your compound. This is the least expensive way to provide effective backup power for your home. You can buy the best portable gen-sets for home, and be up and running. However, to be able to choose the finest portable generators you need to make some potential considerations. Portable generators have a range of uses; large models can provide instant emergency backup power for the whole house. On the other hand, smaller models are convenient for powering a few lights and some appliances. Choosing the best home portable generators for your home requires some calculations. You can get accurate calculations by summing up the power consumption of all the circuits as well as devices to be powered by the generator. You should also keep in mind that, for most electrical appliances, the amount of power needed at the moment you switch ON is greater than the generator running wattage. For instance, an appliance may run on 1,000 watts of power, but it will require a surge of 2,000 watts at startup. The power range needed to operate an appliance is normally listed somewhere on the appliance. Home portable generators are usually sold with respect to the running wattage; for instance, a 3,000 watts gen-set can sustain 3,000 watts. In addition, the generator may be rated for a certain number of surge watts, such as 3,500 watts. You should always ask for the surge watts if they are not listed. Beware that the best home portable generators should have the capacity of producing more surge watts as run watts. However, this does not mean that you must buy large portable generators to match the surge power of all your circuits. Chances are that you will not be running all your appliances simultaneously at home. Nonetheless, the surge wattage should at a greater percentage, factor in your purchasing decision. At times it is advisable to stagger startups for appliances if you will be running your generator at or near capacity. For a house size of up to 2,700 square feet, the most recommended generator size in watts should be between 5,000 watts to 11,000 watts. For a house size smaller than 2,700 square feet, a gen-set of 5,000 watts and below may be convenient. In order to effectively determine which gen-set is the best portable choice for your home, you definitely need to know the exact size of your home. The range of portable choices is great, running from as low as 800 running watts to 12,000 running watts. The best home portable generators should consist of gas powered portable generators, propane powered portable generators, and diesel powered portable generators. One thing to be cautious about diesel portable generators is that they tend to fade fast with increasing altitude, and they may prove to be useless at high elevations. You should be extremely careful with generator features and specs if you live in higher altitudes. Always base your purchasing decision on consumer reviews for the best portable gen-sets for home use. The best lightweight portable generators can give you all the power you need for good times in the great outdoors. With a complete line of lightweight portable generators from twenty pounds to sixty pounds, you are presented with convenient choice. It is extremely important to consider the weight of your portable generator with respect to how you are going to use the unit. Lightweight portable generators are ideal choices for lighting up a campsite, charging your boat battery, powering your small appliances, and for powering your tailgating appliances. As you can see, the portability of the generator matters a lot. It will take you less energy to place your portable generator into the boot of your van while going camping. In fact, a unit of this nature can be handheld, something that is impossible with large portable generators. As far as the usage is concerned, most of the lightweight portable generators have relatively convenient wattage ratings, both for the surge as well as constant wattage. Apart from being compact and lightweight, you need to make certain that the lightweight portable generator you choose fulfills all your appliances requirements. You should look for portable generator models that provide fuel efficient operation, along with quiet power for your recreational as well as household requirements. The best lightweight portable generators you consider should pack as many features as possible into a strong, but lightweight generator design. The portable generator you choose should be built around innovative systems, which have the capacity of delivering higher quality as well as cleaner electricity. The power produced by the portable generator you choose should be reliable. With higher quality, cleaner power, you will be able to run sensitive appliances without concerns of them getting damaged. You should also ensure that the gen-set you select has overload protection; this helps to protect the generator against unexpected overload. The best lightweight portable generators should be integrated with optimal fuel efficiency. Choose a lightweight portable unit with a convenient fuel tank capacity that can keep the generator running for a good number of hours on a single fill. The engine should be air-cooled OHV model, with an effective horsepower and engine displacement. Units that are user-friendly are highly recommended. Apart from the lightweight features, a good portable generator should have a centralized control panel. A centralized panel provides you with the opportunity of accessing all the generator features easily. It is also advisable to go for generators with noise reduction capabilities. Therefore, you need to engage lightweight portable generators with super-quiet mufflers, in addition to vibration isolating feet. Any portable generator with the stated features will definitely have a lower noise level, mostly ranging between fifty and seventy decibels. As far as the best lightweight portable generators are concerned, you can effectively carry one of them to the campsite, boating activities, and tailgating. These portable generators are ready to provide you with clean and quiet power for any low-powered appliance. You should unquestionably buy one of these generators. Well, they might be lightweight and smaller, but be rest assured that they produce enormous electricity to power your TV set, radio, camping lights, and so on. These portable generators are significantly useful to campers and tailgates, since they do not consume space, they are compact, and they are extremely super-quiet. For more information on portable generators, contact South Shore Generator in Wareham, MA. These units cost more money and should be installed by a pro (so factor in labor costs). An experienced electrician can help with town or municipal permits, noise restrictions, and proper location. These start automatically when the power goes out, and often supply more power. They run a self-diagnosis and let you know when maintenance is needed. Some even do this via email or text, to you or your dealer. You have your choice of fuel—natural gas or propane, both of which are less risky to store than gasoline. They range from roughly 5,000 to 20,000 watts. They cost from $5,000 to $10,000. These units tend to cost less. They run on gas or propane that you may need to store in large quantities. Stabilizer must be added to store gasoline safely. You can use them anywhere on or off your property, but they must be at least 15 feet away from your house, doors, or windows—and not in an enclosed space. If it's raining, you must use a tent or cover. Several of these models offer electric starting. The battery required, however, may not be included. They provide from 3,000 to 8,500 watts. They cost from $400 to $1,000. When the power goes off, the stationary generator goes on—without your intervention. This is great if you travel a lot or have a long commute. Several portables offer this push-button alternative to the hassle of pull-starting the engine. Just factor in the added cost (around $50) if the battery is not included. Stationary models have automatic starting. Believe it or not, some portables price these separately. You could probably move a wheeled generator solo, but without wheels, you'd need help. (All the ones we've tested weigh upwards of 200 pounds.) Wheels can cost up to $150 extra. Check fuel level at a glance on a portable; this is especially useful during long blackouts. If oil falls below minimum levels, the generator shuts down to prevent damage. This is usually standard on stationary generators, but it's increasingly common on portables, too. On some higher-end portables; this provides cleaner power that won't overheat sensitive electronics. Some campsites require it because inverter generators typically run much more quietly. Four or more lets you best use the wattage by spreading the load, though we recommend using these only for emergency use—or for away uses such as camping. See the next section on transfer switches. For more information, contact South Shore Generators in Wareham, MA. To use a portable generator without the hassle of running extension cords, install a manual transfer switch subpanel off your main circuit panel and install a dedicated inlet to power the subpanel (installing the subpanel is complex; not a DIY project). This setup gives you the advantage of powering entire circuits in the house, not just individual appliances. The drawback is you still have to start and maintain the gas-powered generator. And unless you buy a large generator (they’re available with more than 15,000 watts), you’re still limited in what you can power. Before calling an electrician to add the subpanel, choose what you want to power during an outage. It’s worth including a circuit that’ll let you run your TV, computer and a lamp, especially if you lose power for days at a time, so you can keep everyone entertained. Plus, these electronic devices don’t require a lot of wattage. The circuits you want powered will be moved from your main circuit panel to your subpanel, so they’ll run when you have normal power and when you lose electricity and hook up the generator. During a power outage, run a cord from the generator to the inlet, flip a manual transfer switch on the subpanel, and all the designated circuits will have power. Choose a heavy-duty extension cord (photo above left) with twist-lock ends (generators have receptacles for these ends) that stay in place once they’re plugged into the generator and inlet. Be sure to keep the generator at least 10 ft. from the house. Power outages are often the collateral damage of severe snow and rain storms and other acts of nature. After you've experienced a few you're more likely to consider getting a generator to keep your home’s electricity humming. But before you buy think about whether you want to power your whole house or if you can get by for a few days with just the basics. Here's what we recommend when it comes to choosing the right generator size. Generators come in two types: portable and stationary, also called standby. Portables cost less to buy and install, but you’ll need to keep it fueled and maintained yourself. A portable also needs to be wheeled outdoors, started, and connected to what you want to power. A stationary model, by contrast, needs to be professionally installed outdoors, which adds expense, but it starts automatically when power cuts off and also performs its own periodic checks—and displays a warning if it needs service. To determine generator size, the easiest way is to add up the wattages of everything in your home you want to power with a generator. But some appliances, such as an air conditioner, refrigerator, and sump pumps, require more wattage (called surge watts) when they’re cycling on. It can also be difficult to gauge how much power certain hard-wired appliances, such as your furnace, require. For these reasons we suggest you consult with an electrician, and select a model with a slightly higher rated wattage that will accommodate additional products you might buy. Also, figure in a few hundred dollars more to install a transfer switch, which allows easy connections for a portable generator. (Stationary generators often come with one.) This component also keeps utility power from frying the circuits you’re protecting once the power returns—and potentially protects any utility workers who might be working on the line. It also protects your generator. Our generator buying guide lists what the various wattage ranges of both portable and stationary generators will support..
To figure out what generator size you need, follow these simple guidelines. The larger the generator, the more you're likely to pay. What it powers: Refrigerator, sump pump, several lights, television. What it powers: The basics, plus portable heater, computer, heating system, well pump, more lights. What it powers: Everything above plus small electric water heater, central air conditioner, electric range. What it powers: Same as large portables, plus clothes washer, electric dryer. Here are some recommended models from testing over 37 models. Kohler 14RESAL, $3,700 (with transfer switch), a larger stationary generator that supplied 12,000 watts using natural gas—and 2,000 more with propane. 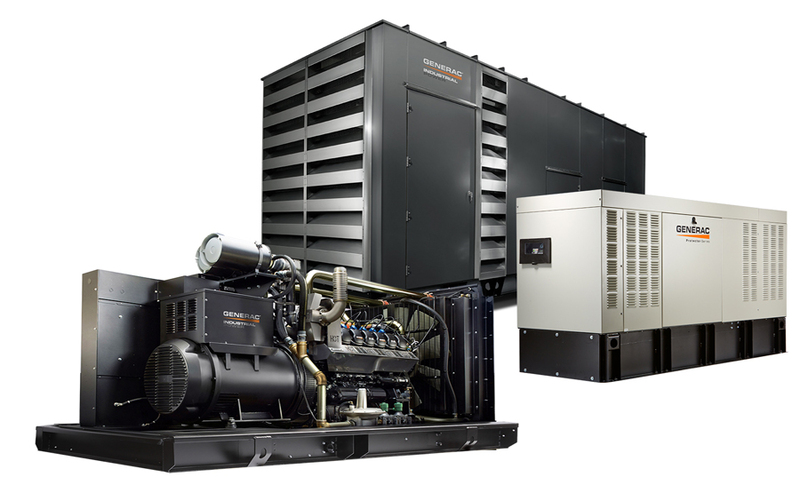 Whichever generator size you choose, don’t wait until a major storm is forecast to buy it. In addition to facing a more limited selection, you’ll cheat yourself out of the weeks you need to plan your purchase and get it installed before you can enjoy the protection of a generator that will serve you for years to come. Tented events are an excellent way to experience the great outdoors all year round, even when weather is unpredictable or reaches extreme temperatures, but, how do you power all the equipment it takes to put on an outdoor wedding in the cold winter or in the heat of the summer? What do you use when an event requires 12 televisions, like an outdoor March Madness party? Portable power generators come in all sizes for all kinds of events and are available to include in your equipment rental lineup. Before deciding what kind of portable generator inventory your business should include, there are a few things to be aware of. There are many sizes and types of generators. Some units power a few small electronics and others power entire job sites. Some are portable and able to move with you, and some are standby units that are installed and remain in one location. Generators are run on liquid propane, natural gas, regular gasoline and diesel fuel. Traditional uses for portable generators vary by their size, type and wattage output. The smallest portable generators are commonly used for personal recreational use, such as tailgating or camping. Medium-sized portable generators can supply electrical power to homes when the utility power is down as well as to the remote job site, where utility power may not be available. The largest portable generators are mobile, mounted on trailers and range widely in power output, from 10kW to more than 600kW. These units are powerful enough to supply reliable electricity to any large tented event, such as a county fair, music festival or large outdoor weddings. 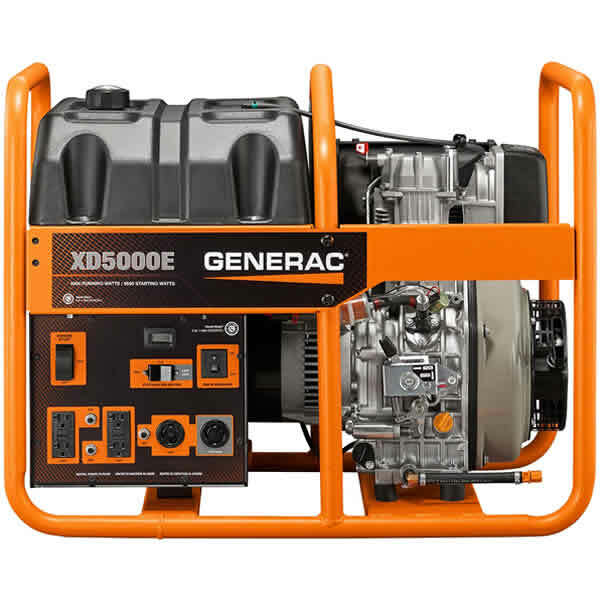 Portable generators are what you will commonly rent, and there are multiple sizes and types. It also is important to note that for large events, in terms of attendees or the sprawling nature of the event space itself, multiple portable generators may be necessary. - What appliances and equipment will you have at the event? The more equipment, such as lighting, sound systems, air conditioners and refrigerators, at the event, the larger the generator will need to be. It’s important to take note of and sum up the total number of appliances or devices that need electricity. Also, sensitive equipment, such as sound systems, will require care when determining the type of generator. - How many people will be attending the event? Similar to determining an event’s tent needs, the more people at the event, the more electricity is necessary to comfortably power the event. - How long will the event last? In general, generators only run for as long as their fuel tank will allow. You will want to make sure the generator will have the fuel supply to run for the duration of the event. No one wants to fill a generator tank mid-party. Once you have this information, South Shore Generator can help you decide on the right portable generator for your needs. Contact us. Portable power has been the domain of gas generators for decades, but battery-powered generators are starting to pop up, offering a cleaner option for DIYers, campers, and tailgaters. A gas generator can keep chugging along as long as you have fuel, which makes it a better solution if you are without power for an extended period of time. But battery-powered generators have a whole host of cool tricks up their sleeves: indoor use, silent operation, easy 120V AC charging, clean power, and zero emissions. Kohler has been in the generator business for over 80 years, and has just introduced its first battery-powered, indoor/outdoor generator solution, the enCube generator. The enCube delivers 1400 watts of continuous power and 1200 watt hours, that's enough to power your corded tools or keep your batteries charged. It has built-in GFCI, which prevents overloading and overheating the generator or your tools. There are onboard USB ports to charge smartphones, 12V DC ports for medium-sized gadgets, and multiple 120V AC outlets for larger electronics and appliances. You can charge this unit from any standard 120V AC wall outlet or any solar panel, which makes it useful for travelers and all day tailgaters. Multiple units can be run parallel for even more runtime. When it comes to emergency preparedness, it's still tough to recommend anything other than gas-powered backups, but for the casual user who needs portable power for camping or tailgating, these new battery-powered generators just might be worth it. For more information on portable generators, contact South Shore Generator.